This week will be Pirates Week in Reception. We will be doing and making lots of fun things in the classroom including making our very own parrot friends and treasure maps. 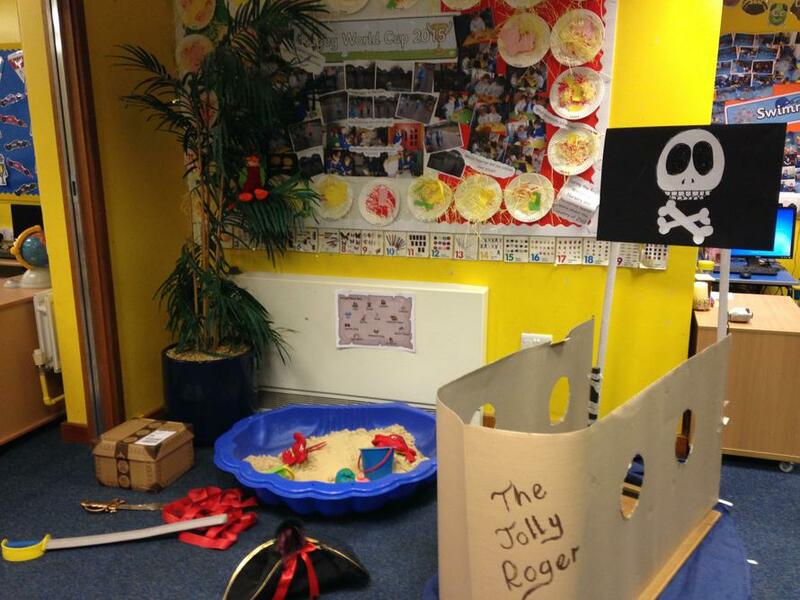 The role play area is ready for lots of little pirates to explore. What could your pirate name be and what treasure do you think you might find? In Letters and Sounds we will be learning about the sounds air (as in fair, air and stairs), er (player, runner, stronger) and ear (fear, tear, beard). We we also be practising to read the tricky word they.